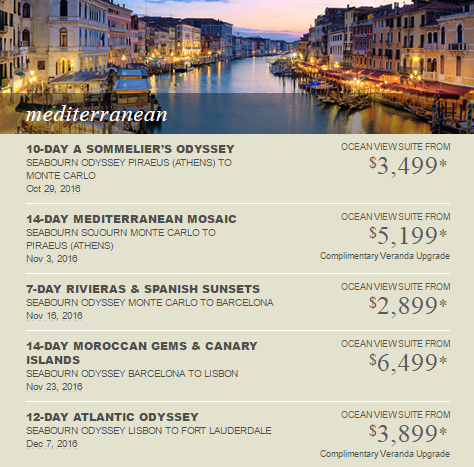 *Fares may be in US or CA dollars in different markets, cruise-only, for new bookings only, per guest, double occupancy, and subject to availability. 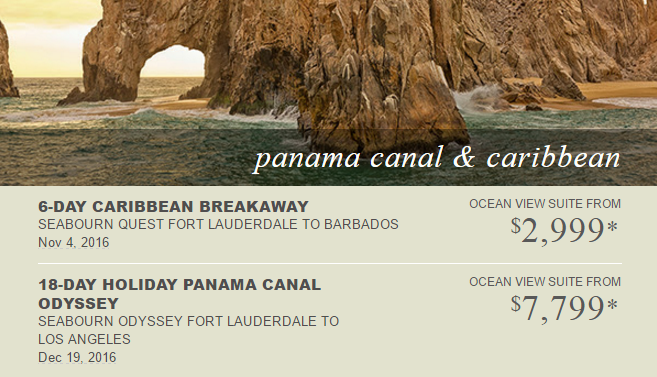 Taxes, Fees and Port Expenses of $108.40 to $994.47 per person are additional. 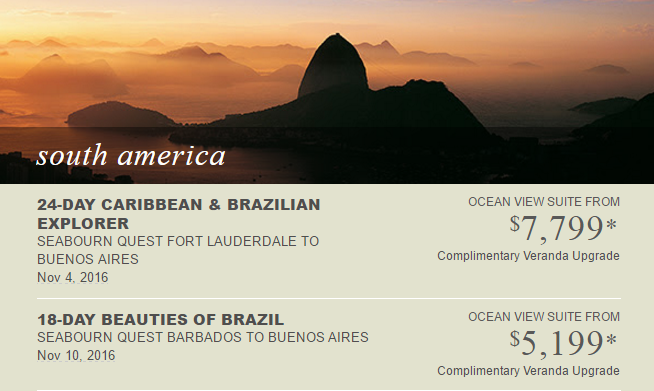 Complimentary Veranda upgrade on select sailings is subject to availability at time of booking. Upgrade will be reflected in fare paid for selected suite category. Fares are not combinable with any other offer, may vary by sailing date, are capacity controlled, and are subject to change without prior notice. All savings amounts are included in fares shown. Certain restrictions apply. Seabourn reserves the right to correct errors.